The strange No-Face (Kaonashi) tends to adopt the behaviors of those around him. He's bound to enjoy the next movie night when you re-watch Spirited Away! The Spirited Away No Face 8-Inch Plush stands up, so he's the perfect little spirit to guard your desk or Studio Ghibli movies! Ages 1 and up. 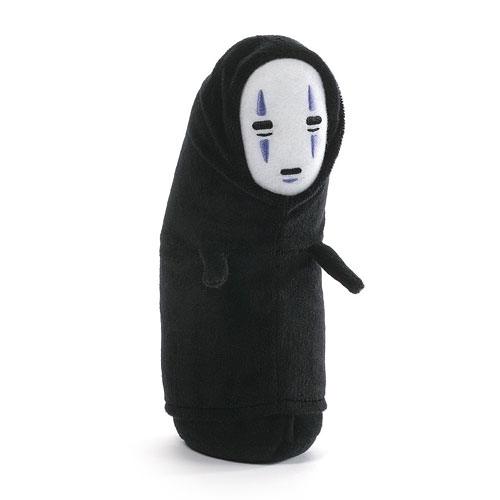 Kundenbewertungen für "Spirited Away No Face 8-Inch Plush 21 cm"